…well, I don’t think Laurence Lessig will ever say good night. Not at this rate anyway. I could stick this up on a del.icio.us link (over there –>>), but I thought it worthy of a post. So if you have forty-five minutes or so to spare, I’d say you could do a hell of a lot worse than go and watch Laurence’s speech from last week’s 23rd Chaos Communication Congress in Berlin. If you’re in a hurry, or have never watched LL speak before, either just grab the start for a taste, or skip to around 43m in to get the summary, but if you can spare the time, try and catch the lot, including the grilling he gets at the end of the Q&A (was that John Gilmore asking the last question?) – it’s great to see that there’s some very interesting new (at least to me) insights within the presentation that indicate Laurence’s current sabbatical away from his professorial role at Stanford is doing him a considerable amount of good. Or maybe it’s the just the fine German beer… ;) Either way, it’s the first worthy watch of 2007. Well, maybe not literally. Chances are my arms will have furled right back by then, and I’ll be asleep, but I wanted to change the top-post so it wasn’t so moody as the one below, as, thanks to Alex’s comment on the last post (cheers, El Duderino), we’ve just realised we’ve been linked on the Blogger homepage. Anyway, as this is kind of a functional blog, more than a chatty, you’ll never guess what I saw today blog, or a you’ll never guess what I found on the net today blog, or a pay attention and listen to me and my opinions you assholes sort of blog, that I should skim up a introduction / reminder for you new free-clicking people. We’re The Kleptones. We live here and we make new sounds out of other people’s old sounds. Sorta. 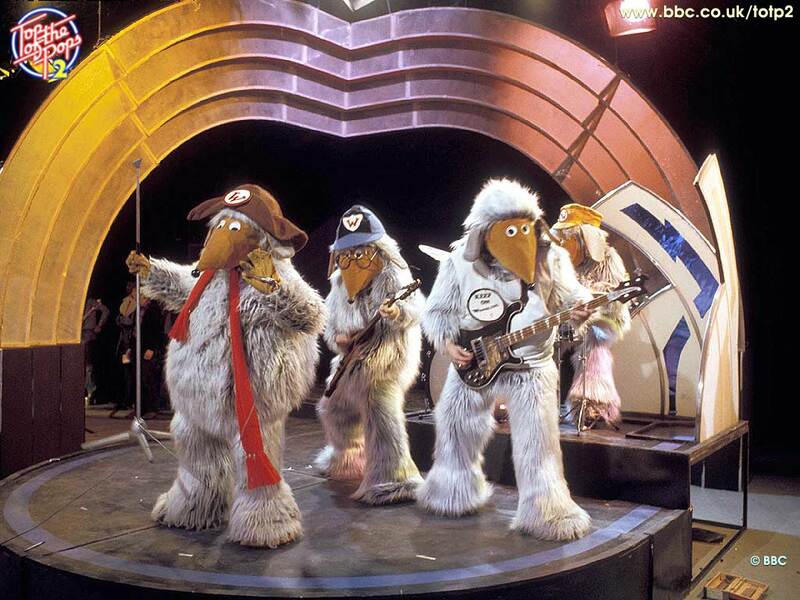 Kind of like The Wombles do with trash, but better and infinitely more listenable. There’s tons of downloads and stuff. You’ll probably hate it, but you will undoubtedly know someone who will be blown away when you send them the link, and will forever think of you as a zeitgeist surfer deluxe. Really. Thanks for stopping by, anyway, Mum, and I’ll ring you tomorrow, promise.